Freezer chamber with thermal storage features, can hold room temperature [-23 Deg C] 4 to 5 hours even there is no power. Fully equipped with storage racking system, adjustable shelving conforms to NSF or NF standards. 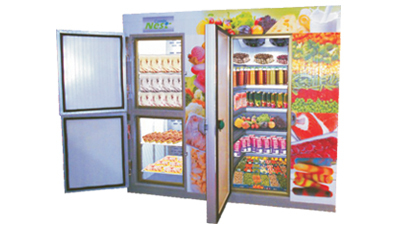 Hotels & Restaurants, Dairy Products, Canteens, Food Courts, Bakeries, Pharma Products.